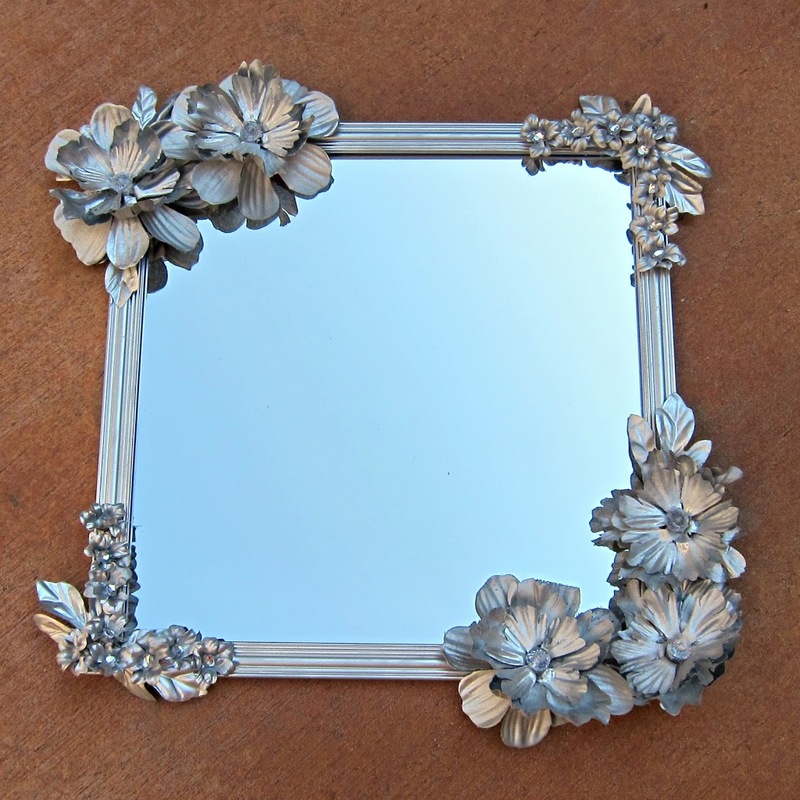 Make an Anthropologie inspired flower mirror using inexpensive items. I love to gawk Anthropologie’s website. There is so much eye candy there! Sadly, I can usually only window shop, but that’s OK with this crafty gal. 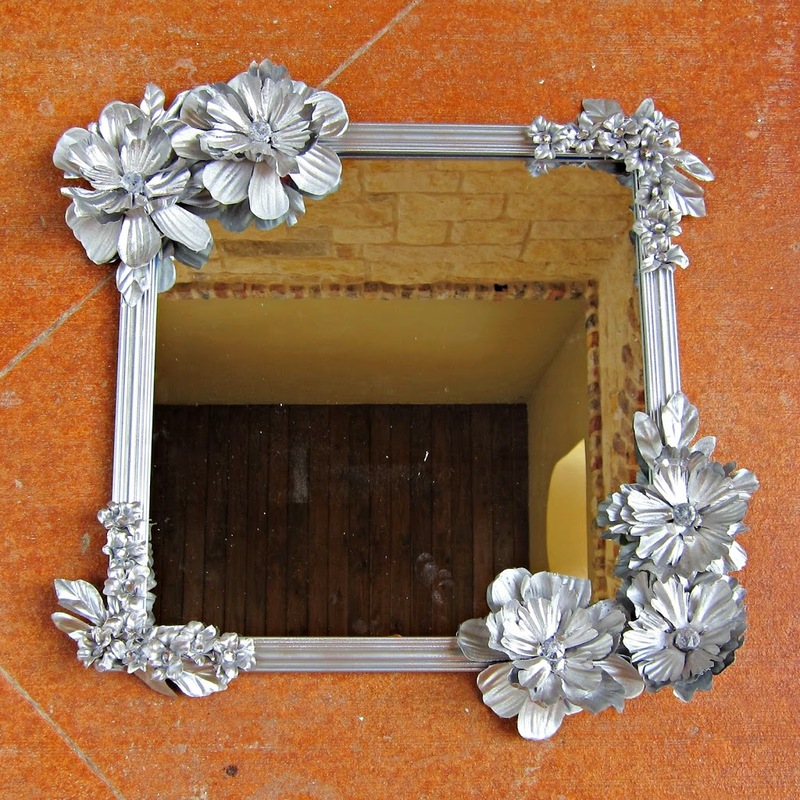 When I saw this pretty flowered mirror on their site (for $128), I started thinking of how I could make my own budget version using thrifted items from Goodwill San Antonio. I’m really happy with the final product! I found my mirror at Goodwill for just 99 cents. The flowers are a mix of Goodwill purchases and Dollar Tree items. 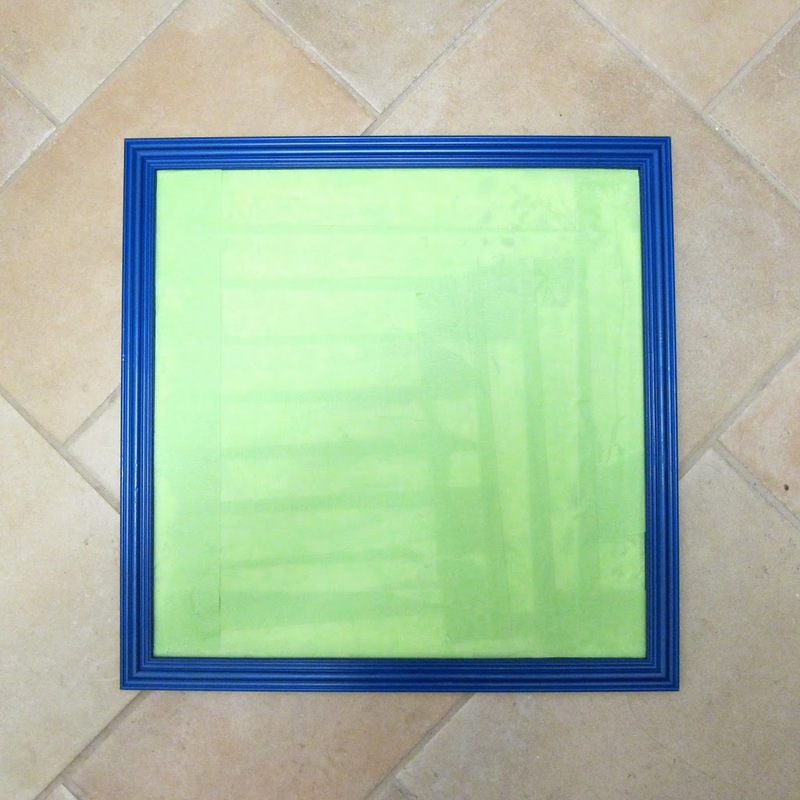 Step one: Cover the mirror with painter’s tape. Step two: Remove the flowers from the stems. 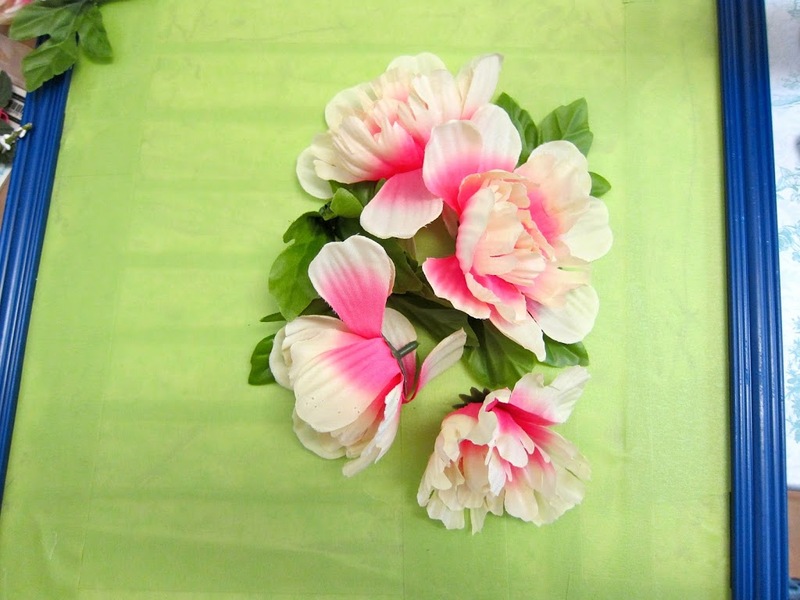 You may need to trim the remaining plastic on the back of the flower so it can be flush with the mirror. Step three: Use a hot glue gun to attach the leaves and flowers to the mirror frame. I decided just to fill in the corners, but you could fill the entire frame to more closely replicate the Anthropologie mirror. Step four: Spray paint the flowers and frame. I used a metallic silver paint. If you’re often guilty of overspraying like I am, this is the project for you. The more paint on the flowers, the better! Allow the paint to dry, them remove the tape. 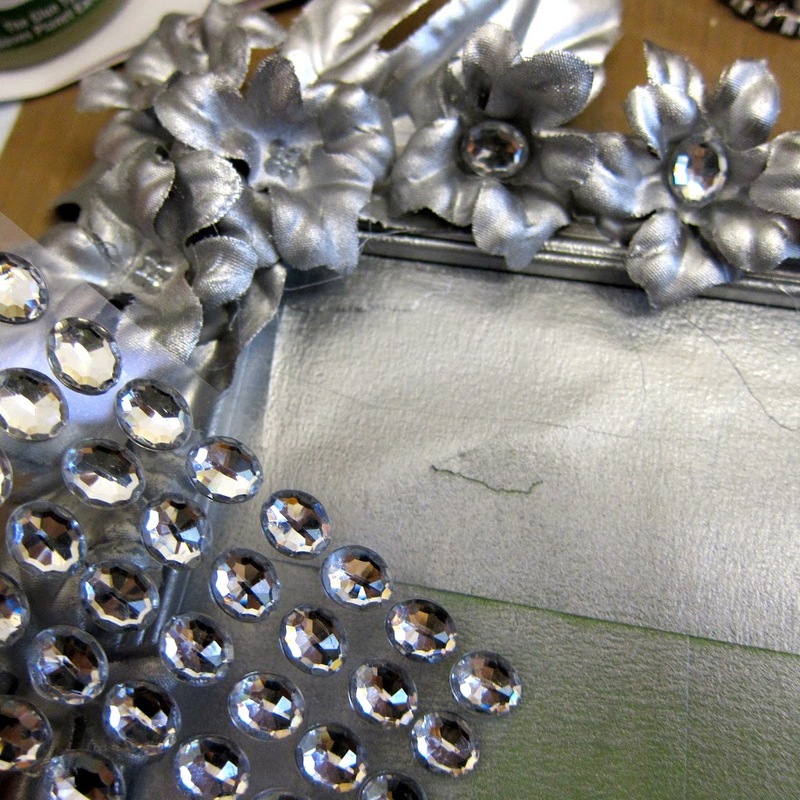 I decided I wanted a bit more sparkle on my mirror, so I hot glued rhinestones to the flower centers. I love my “new” shiny, sparkly, and flashy flower mirror. I hung it over the sink in my laundry/craft room to bring a little bling and pizazz to an otherwise dull space! And I did it all for $2 instead of spending $128 at Anthro. Not bad for a day of crafting and time spent shopping at Goodwill San Antonio. Disclosure: I am a blogger for Goodwill San Antonio. This post first appeared at Dollar Store Crafts.